Preheat oven to 375°F. In a large bowl, sift together flour, sugar, salt and baking powder. Add cornmeal and stir to combine. Stir in egg and milk until well combined. 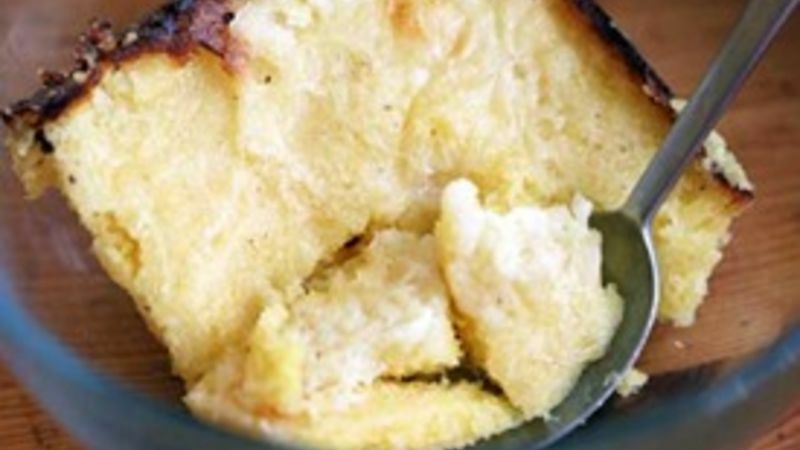 In a high-rimmed 8 x 8-inch baking dish, melt butter. Pour batter over the butter in the baking dish, then pour remaining 1/2 cup of milk over the top. Bake 45 minutes or until good and crusty. Enjoy warm with a spoon.